They are very popular and everywhere in Japan. There are a variety of items such as food, clothing, cosmetics, stationery, toys, tableware, CDs, garden stuffs and so on. They even sell a milk frother at 100 yen!! 99 yen store “SHOP99” is also well known. 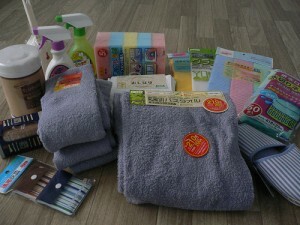 Daiso sells the items over 100 yens but they are still cheaper than the regular market prices. 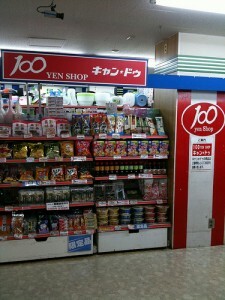 Before these shop-type 100 yen shops were popularized about 10 years ago, they were used to be like circuses; they irregularly rounded supermarkets or department stores.